My husband and have been growing a little garden for the past several years. Our first cucumber plant that grew cute little cucumbers made us so proud. 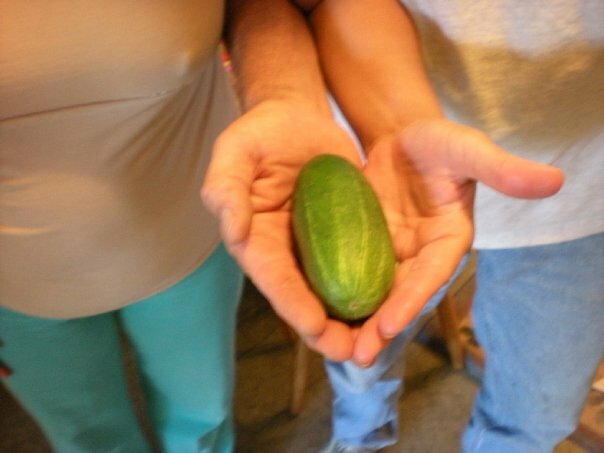 We called it our baby and posted it on social media like proud parents, then we ate it. What started as a home school project for my kids, that they now will have nothing to do with has turned into a way of life for my husband and I. I look forward to spring every year and plan out what I'm going to plant each year. I enjoy going to local plant sales at local nurseries as soon as the plants come in. I always take a friend or two out to Growers in Loganville which is now a tradition and based on the crowd, it is a tradition for a lot of Gwinnett County. We also have to make a trip or two to Creative Enterprises. I love supporting local growers and non-profits like Creative Enterprises. If you haven't been there it is a wonderful place. This organization is dedicated to assisting adults with disabilities and others with barriers to employment in maximizing their potential. They have multiple programs and services to help these adults develop skills to be as independent as possible. If you haven't been there to get your plants you really should visit. It really is a very special place. in the south than a home grown tomato, to grow a garden without them would be, well a waste of effort. A large number of people I know who garden consider it a labor of love. There is something so therapeutic about digging in the dirt, making our own compost from kitchen scraps and then watching the blooms turn into the literal fruits of our labor. We love making homemade salsa, macaroni salads, adding our own fresh homegrown herbs to our Italian dishes. Summer eating is so much fun, however if you play your cards right and do a bit of prep and planning you can store up some of that summer yumminess for winter soups, and dried herbs for teas. Have you ever tried a nice lemon balm and peppermint tea, so soothing for a winter cold, or enjoyed savory seasonings like rosemary, sage and thyme for crock pot cooking. Nothing is more delicious than taking canned tomatoes, dried basil and oregano and making your own homemade spaghetti sauce. I don't consider myself a chef by any means, yet cooking something you have grown somehow makes the experience so much more enjoyable. 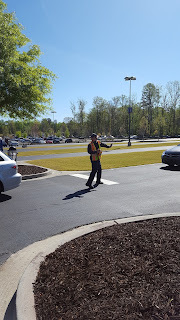 Gwinnett County just celebrated its sixth Earth Day Recycling Event on April 9th, 2016 at Cool Ray Field Gwinnett Braves Stadium. Cars lined up in 4 rows from Highway 20 to the parking lot, where vans and trucks lined up to take old tires, paper in need of shredding, old cans of usable paint, old sneakers, electronics, as well as empty printer ink and toner cartridges. Gwinnett Recycles twice a year; in November for America's Recycle Day and in April for Earth Day. This year the lines were longer than ever to donate their recyclables. 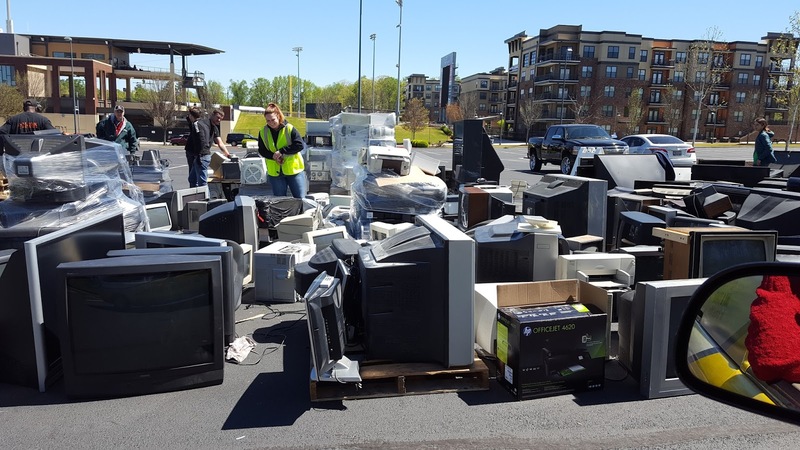 Over the last few years, Gwinnett County Waste Management has recycled over a hundred tons of electronics, thousands of pounds of textiles, thousands of shoes and printer cartridges. 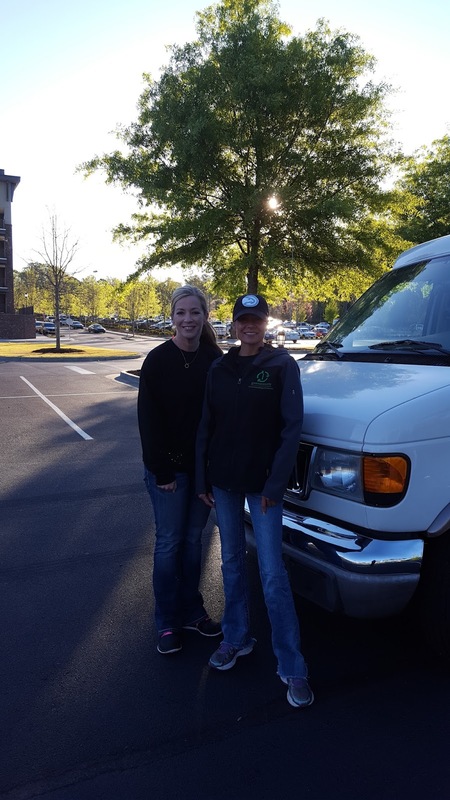 The team at Gwinnett County Waste Management headed by Schelly Marlatt and her team do an amazing job coordinating the different vendors that collect recycling. There are a large groups of students and adults who volunteer each year for this community event. 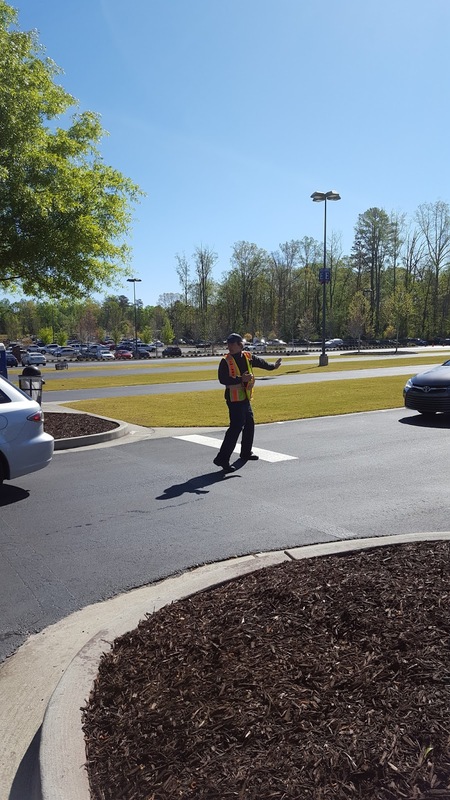 High School students interested in community service events and a group of Fire Explorers help to direct traffic and keep everything running smoothly. The fire explorers are all students from age 14-18 who spend every Thursday evening learning drills and learning what it is like to be a fire fighter here in Gwinnett. I spent some extra time meeting the vendor's this year and learning what they do with the recycling. The old sneakers are separated into two groups one group are those that are just slightly used and can be given to those who need shoes. The shoes that are no longer wearable are ground up and turned into playground material. The paint donated must be at least 25% full and usable. 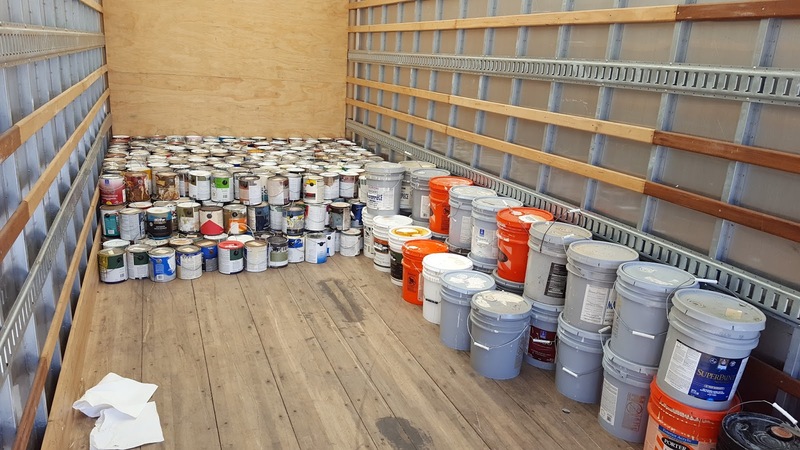 They take the paint to other countries, This batch of paint will go to Liberia to paint the university there,which hasn't been repainted since their civil war in 1987. The school will require over 4,000 gallons to repair the still bloodstained walls of the university. They have also painted projects in Mexico, Haiti, Central America and many other areas in need of recovery. The pr inter cartridges will be re-manufactured and resold, reducing the need for new products to be created to meet demand. Recycling ink and toner cartridges reduces the waste in our landfill. Some pieces of cartridges take over a thousand years to decompose and the amount of those thrown away every year if put end to end would circle the earth 3 times. Secure paper shredding is a great way to create additional space in your home and feel secure that the documents you are disposing of don't end up in the hands of identity thieves. Over the years, televisions and computer monitors have continued to grow it has only been very recently, that flat screen technology has allowed the television to become part of the living room not the entire focus of the room. Large bulky televisions and old monitors that are recycled have a significant impact on the reduction of waste that doesn't decompose or poison the ground in our local landfills. Gwinnett County thank you for your contribution to our community by offering this event twice a year. Please check their website or join the newsletter for the next recycle event to be held in November. 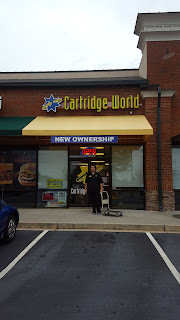 Cartridge World Buford has been proudly serving the residents and businesses of Buford at 2725 Hamilton Mill Rd, Buford , GA 30519 across from Walmart behind the Chili's, for the last four years and before that they spent five years across from the Mall of Georgia. Mary Hines the previous owner decided to pursue other interests in December of 2015 and sold the Buford Location Nancy McGill owner of Cartridge World Lawrenceville to the oldest and largest store Gwinnett County. Cartridge World is a franchise with over 1000 stores worldwide. Their goal is to help the environment by taking empty ink and toner printer cartridges printer and completely re-manufacturing them into ready to use cartridges for both the business consumer and the home user. Consumers get to save two ways with Cartridge World Buford. They can reduce their carbon footprint by purchasing refilled cartridges which keeps them out of our landfills. They can also save up to 30% off of retail big box stores. Nancy McGill and her team bring a lot of experience and customer service to the Buford area and are all excited to become a part of the Buford Community. The Lawrenceville and Buford store have a full staff to serve you. There are two customer specialists, Mattie Smith and Belle Young. They spend most of their time visiting with both potential new business customers as well as taking care of the needs of their current business customers. Eddie Diaz is the store manager of the Lawrenceville store and is instrumental in making sure that the Buford store has the product and support it needs, as well as offering his expertise as a printer repair technician for both locations. The rest of their team, Zach Miller, Cindy Gilbert and Rich Stoner overlap the other responsibilities of: marketing, their free business delivery service, inside sales, ink and toner re-manufacturing and technical support for both locations. They have all been working hard to bring the store up to the same level of service that Lawrenceville, Snellville, Loganville and Grayson have been able to experience. Cartridge World has a great recycling program for non-profits like the schools churches and other civic groups. Cartridge World has given back over sixty-five thousand dollars back to the community over the past 11 years. More than 50 Gwinnett County schools buy their ink and toner from Cartridge World. Nancy feels that it is important to give back to the community where she lives works and plays. She is a part of the Lawrenceville Rotary, the Gwinnett Medical Center Women's Council and has been Ambassador of the Gwinnett Chamber of Commerce. She is currently part of Leadership Gwinnett's class of 2016. She was the Gwinnett Chamber Small business of the month in 2011 and 2012 and was Gwinnett Chamber Ambassador of the year. She has been nominated as one of Gwinnett's top small businesses for Pinnacle awards in 2013 and 2014. Cartridge World Buford and Lawrenceville are a part of the Gwinnett County Recycling Event held twice a year; November for America's Recycle's Day and April for Earth day for the past 3 years. Be sure to go see them at Cool Ray Field April 9th from 9am to Noon along with companies who take old electronics, old tennis shoes, secure paper shredding and paint recycling. If you find yourself in Lawrenceville you can visit that location at: Lawrenceville store at 911 Duluth Hwy, Lawrenceville, GA 30043. What's Happened to the Service in Customer Service? Costco and you see 6 people behind the customer service counter and no one will look at you? You can be big or small, yet you are still a ghost. We have all experienced it, you look at each one of them really do the puppy dog eyes pleading, just look my way for a second, and not one single person looks your way. It is as if they think that if they don't make eye contact, you aren't really there. What kind of training in customer service skills class do they give these people. Ok, today we'll learn how to avoid eye contact. Sometimes I just want to laugh and wave my arms and say "Um ,Hello people I'm right here. What they don't realize is the longer we wait without being seen the more frustrated we become. Waiting like cattle, waiting for the person behind the counter to look our way and say, "Can I help you?" Then pray they help us or dash all our hopes for resolution. It's not only the person behind a counter I'm referring to, how about phone customer service rep? When I need help on the phone; my cell phone provider, my bank, or the dreaded call to (insert scary music here,) the local cable provider. My least favorite customer service nightmare is the rep who knows they can't solve my problem and they put me on hold. I hear the not so beautiful hold music and then silence. Really, I just got disconnected. You know at least 50% of the time that was no accident. They just didn't want or didn't have the skills to help you solve your problem so they hang up on you pretending that it was an accident. I have literally had to call in and relive the same scenario three to four times. 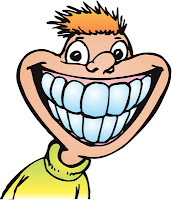 The golden ticket is that sometimes we walk into an establishment and there it is a smile that lights up the room. Hello, Gorgeous! I'm not saying the person is magazine model perfection. I am talking about the person who gets it. They are hired to do a job, take care of customers' needs. They get that customer service is all about, yep, you guessed it, service. This individual comes in to work, leaves all their own problems at the door and offers you service that makes you feel all warm and fuzzy. I just want to hug this bright eyed or perky sounding human being who actually has me laughing with them make me feel like they truly care about making my problem go away and my day just got a little bit brighter. I have worked in customer service in one form or another all my adult life. I believe it's a choice, not just a paycheck. If you don't like what you do find something else to do but let's all agree, not to take it out on the people who pay good money to keep you employed, our customers.